Home maintenance is something every property owner must take on. This article provides information and advice about this precise area, so you know what to look out for and how to proceed. Home maintenance is something some people enjoy and others hate. It all depends on your position and how much you like DIY! Of course you won’t be able to do every job yourself; few people would be happy climbing onto their roof to fix a broken tile or to see where that leak is coming from. However there is a lot you can do to ensure your property is always maintained in as good a way as possible. The first thing you should do is to become familiar with your property. When you buy it (or starting from now if you’ve never done it before) take a good look at the property from every angle. Become familiar with how it looks from the outside and in every room inside. This will make it easier to spot things that could develop that are unusual. For example you’ll know if you spot a damp patch on the wall that it has only just appeared. If you aren’t familiar with your property you could end up missing these things and they can then get worse over time. Look out for cracks appearing too. You only need to worry if they are large cracks – many properties have cracks that appear in the plaster and these are quite common and nothing to worry about. However if there are large cracks in one room or one area of the house this might indicate subsidence. Get an expert in to assess the situation. If this is the cause your home might need underpinning to support it. You should then get underpinned insurance to cover your property. It will cost more than regular insurance but underpinned insurance will cover you for any further subsidence that might occur in the future. It is wise to check the exterior of your property during each summer to see if any jobs need doing before the colder wetter months begin. For example if your gutters are blocked you should clear them so the rain can run through them to the drains. If you don’t do this the water can splash out of them and run down the walls, which can in turn lead to further problems later on that could have been avoided. 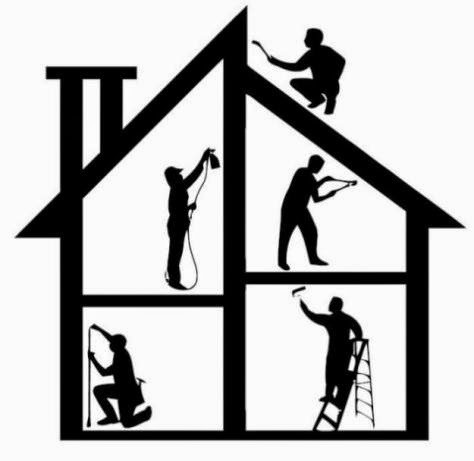 The idea with home maintenance is to do smaller jobs when they become apparent, otherwise they can be left to get worse and they’ll lead to bigger and more expensive repairs later on. This isn’t good news for you and it’s not good for your property either. You will learn to watch out for issues when they appear and to get the right people in to help resolve them, or else to do a spot of DIY. If you opt for the latter make sure you know what you are doing and you do a good job. Anything involving gas should be left to the experts, while other jobs involving electricity and plumbing should only be undertaken with the proper knowledge. Your property will thank you for looking after it so make sure you are able to do just that, both now and in the future.